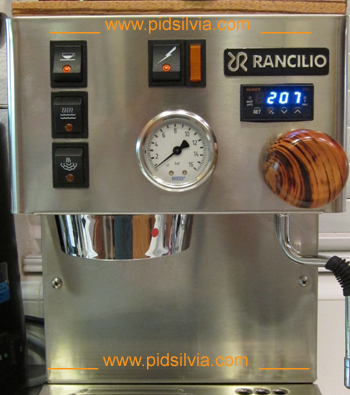 Pressure Gauge for the Rancilio Silvia Espresso Machine and PID Control. 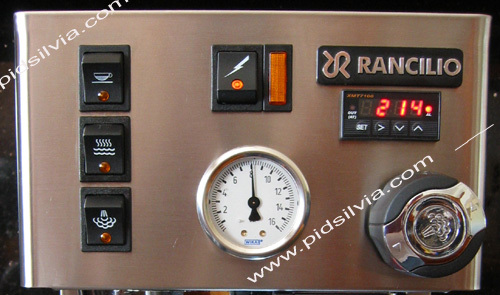 Pressure gauge needs to be oil-filled. 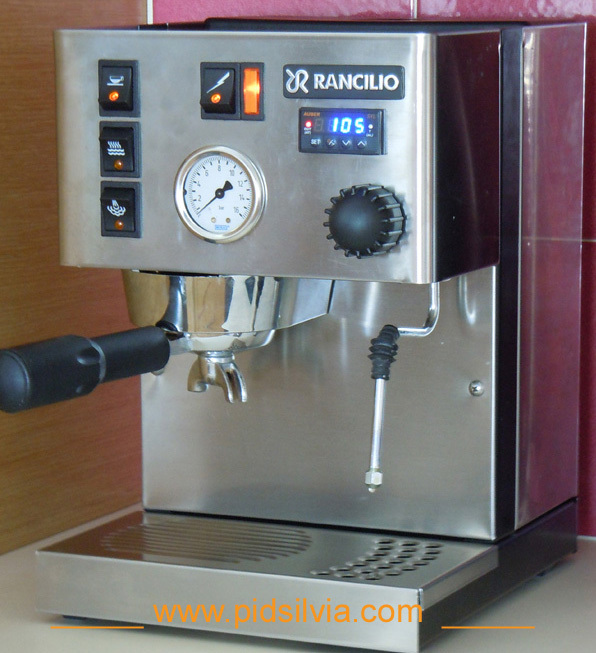 The oil will, absorb vibration to have a steady needle and lubricates all moving parts to increase the service life of the gauge. 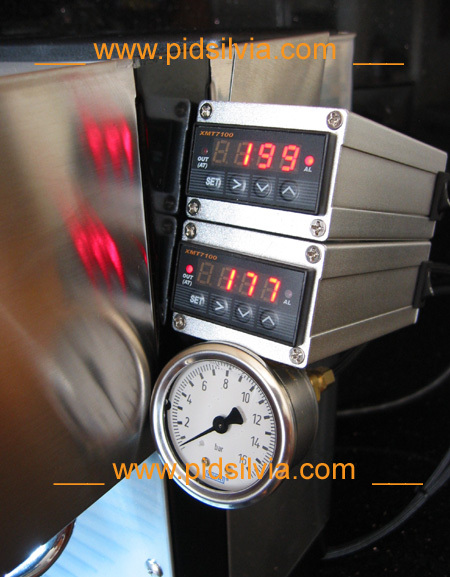 If the pressure gauge is an oil-filled and installed in or around Silvia, where there are more dramatic temperature fluctuations, then it must be vented to eliminate changes in the gauge internal pressure, to maintain accuracy. 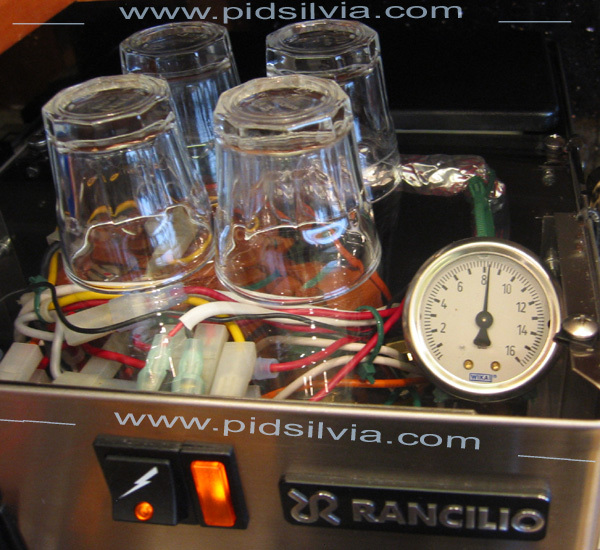 Silvia must be "ON" for 20 minutes prior to checking pressure (so the OPV valve is warm and at normal operating temperature). 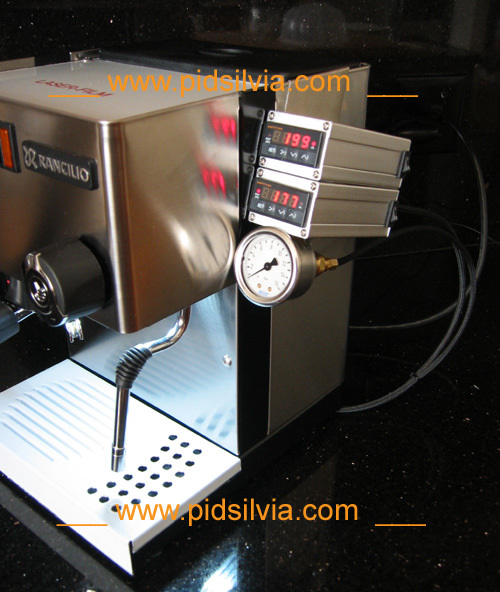 Most machines will have some difference in pressure between cold and operating temperature. 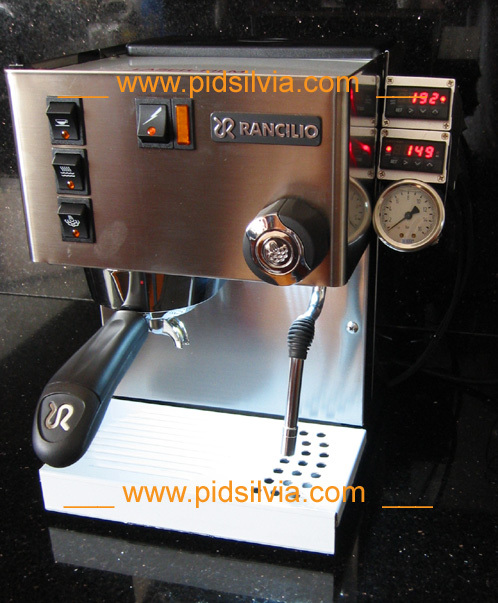 See video clip below. 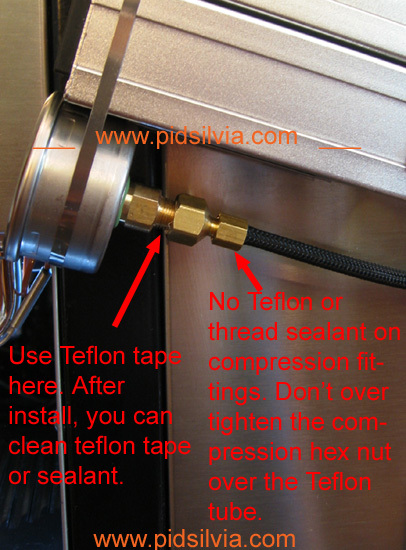 Pressure Gauge fittings combinations, How to page. Cutting the front panel for internal gauge install. 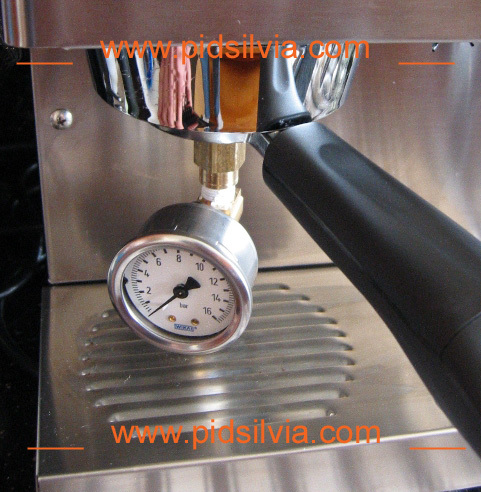 Why installing a pressure gauge. 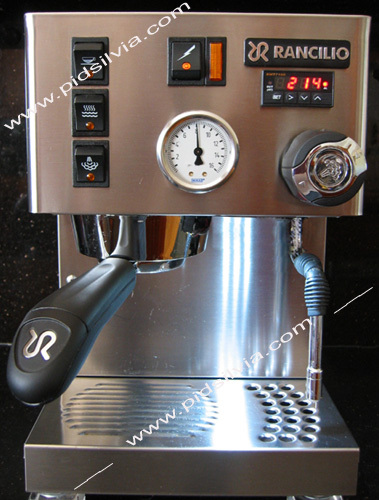 Selling this Portafilter Kit here. 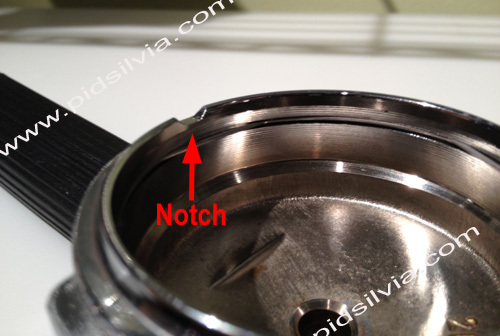 Will not work with the very old V1 Portafilter because it has a notch at the rim (see picture below). 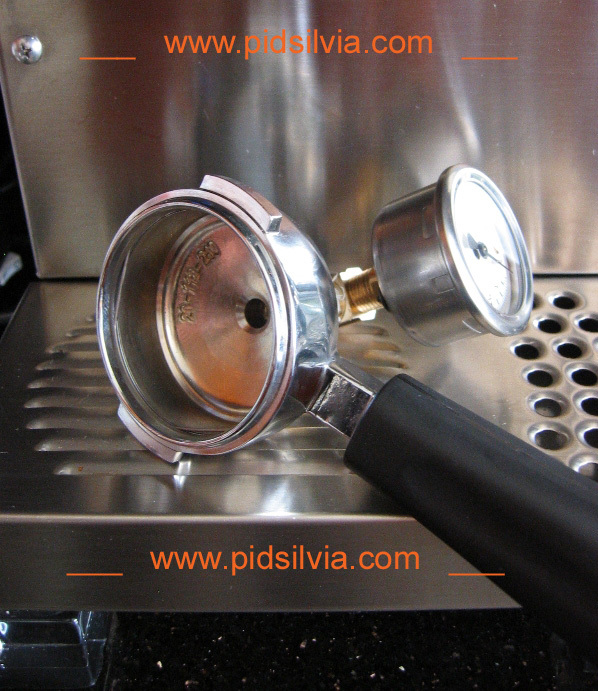 Will not work with the old V1 Portafilter because it has a notch at the rim. 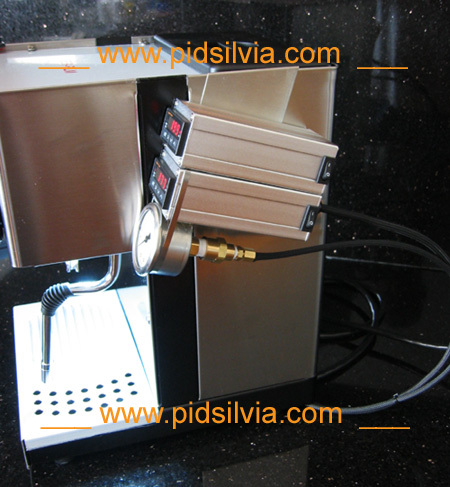 Selling this internal Kit here. 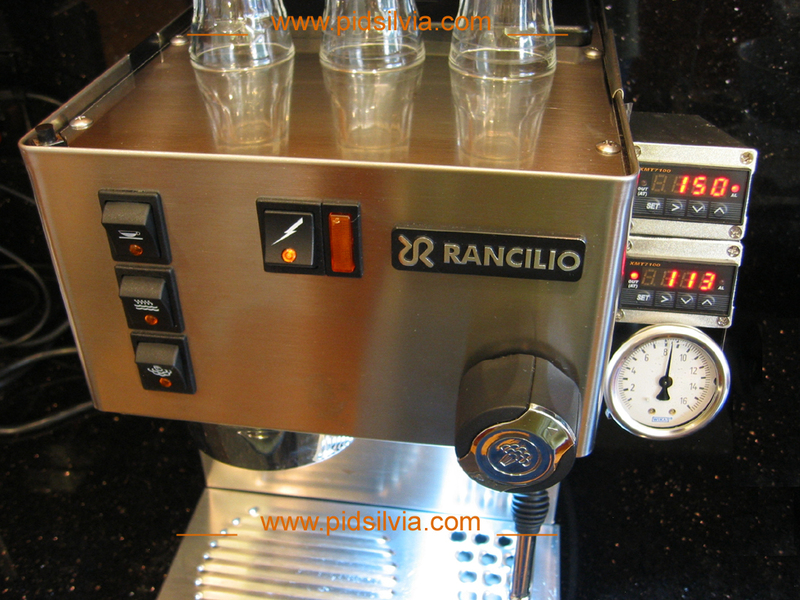 Installing inside with clear top as above picture, is not recommended because of gauge venting problems.